Abstract: Authoritarian regimes often develop “input institutions” to gather information on societal preferences. However, these institutions face two underlying challenges. 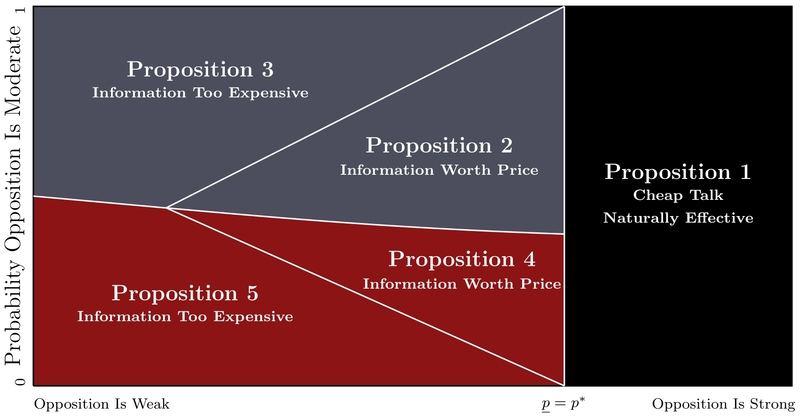 First, more information does not mean good information; citizens may have incentives to misrepresent their preferences. Second, some input institutions can also be coordination goods that increase citizens’ capacity and willingness to organize and thus their bargaining power vis-a-vis the state. What, then, is the logic of permitting them? We develop a model to investigate the trade-off between information and power in authoritarian institutions. We show that the underlying power transfer through input institutions makes otherwise non-credible elite-mass communication credible. Empirical evidence from East Germany, contemporary China, and contemporary Vietnam illustrates how the balance of power between state and society predicts when and why the regimes promote input institutions.